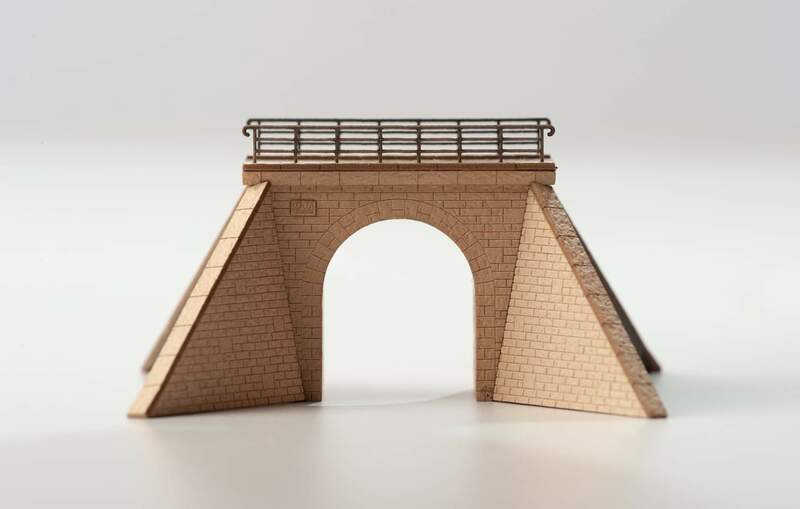 Manufacturer Description: Sandstone underpass of a railway embankment or a road. With round arch passage and railing. 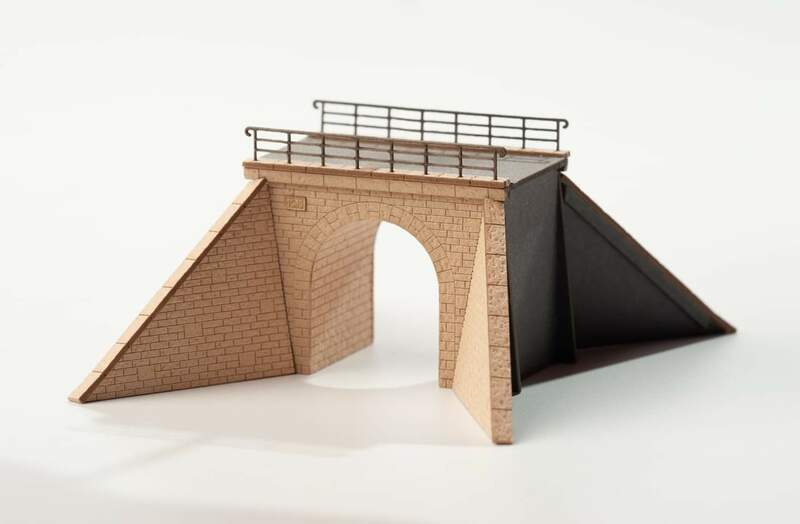 The embankment walls can be individually angled and adapted.